Lacquer Lockdown: Hot Off The Stamping Press: MoYou London Aries Zodiac Collection Nail Art Stamping Plate! 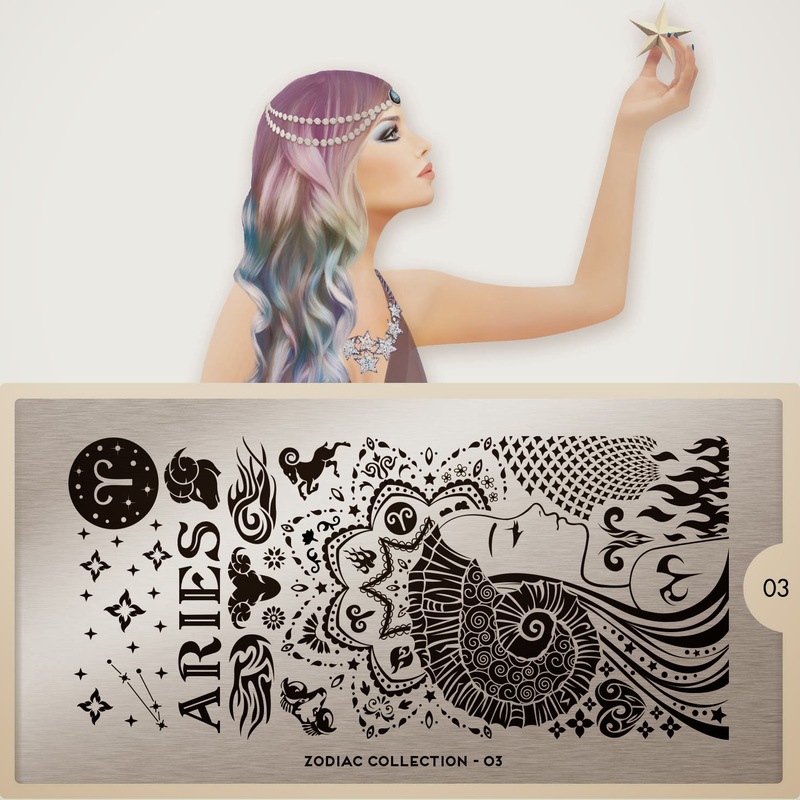 Hot Off The Stamping Press: MoYou London Aries Zodiac Collection Nail Art Stamping Plate! The time has come for the Aries ladies to take center stage with a plate of their own from the MoYou London Zodiac Collection! For the courageous, adventurous, and lively Aries girls, according to MYL, you now have your own plate to plate about with. I have no idea how far along we are in this collection but since the first plate was Leo in August I'd say its a safe bet that we are more than halfway there. Today is the first day I noticed that there has been an individual banner for each plate. Lol talk about slow. Usually I just save the banner but I've had to change it every time now. I wonder if that means from now on annually there will be a Zodiac "Aries", "Pices", etc plate? Love, love, loooove the flower around her head and the Ram under the ARIES logo. And the girl is really pretty... but that's it for me. I find this one kind of meh, tbh.